Sorry to have fallen off the face of the earth over the weekend. I picked up Karma on Saturday and was spending as much time cuddling with her and trying to make her comfortable as possible. I couldn’t bear to tear myself away to post on my websites! 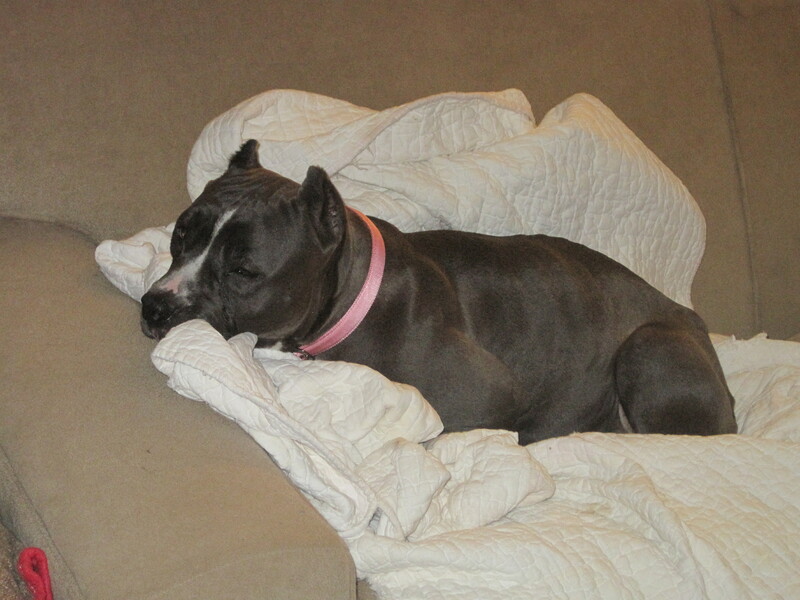 Karma is doing OK. She spends most of her time sleeping, preferably in someone’s lap, but the couch is a good second. After picking her up on Saturday I went to the grand opening of Whole Dog Training‘s new training facility and brought Karma along with me. She was very scared about going into the building…it took her over an hour to cross the threshold! But a lot of people and dogs came up to her to say hi while we were hanging outside. 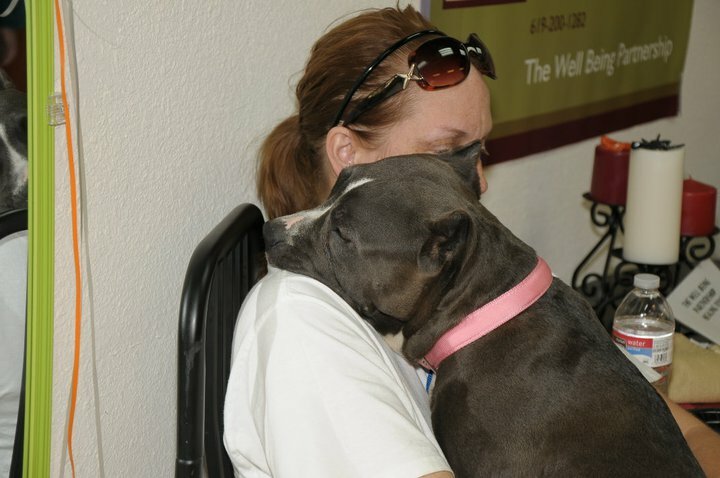 Everyone fell in love with her sweet self and for the most part she was pretty tolerant of the other dogs who approached. She didn’t like the English Bulldog puppy too much, but truth be told, he was a bit of a spaz, so I’ll forgive her that one. She spent most of Sunday right there on the couch with me too. She’s slowly meeting some of the other dogs in the house but is not overly thrilled with any of them. She was most interested in Linus, the 8-week old puppy from my last post. I’m really hoping she’ll take to being a mama to him, because he needs a mama! I also wanted to update everyone on her expenses. 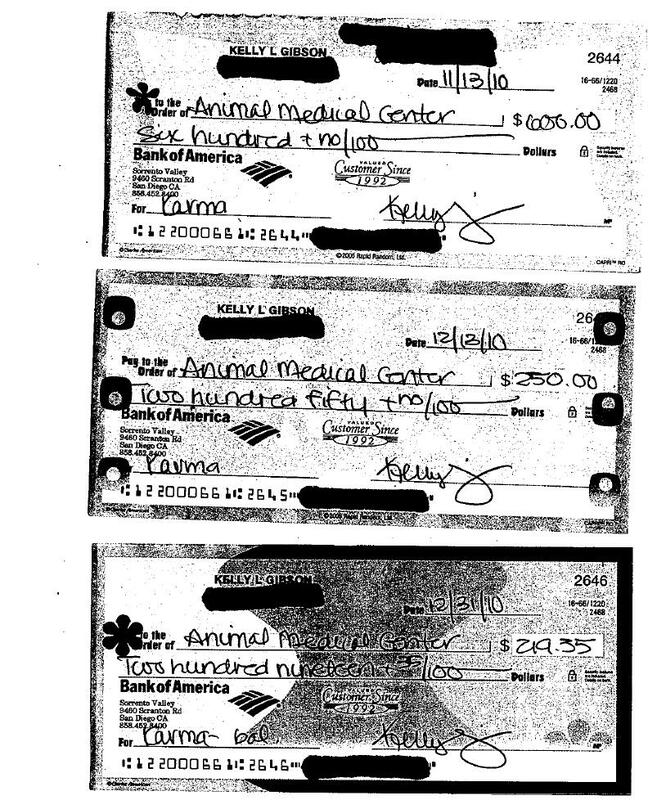 I’ve made jpg files of all of the paperwork from the vet plus a summary of the charges and the current account balance. If you click on the pictures below they should bring up a larger image that you can read. 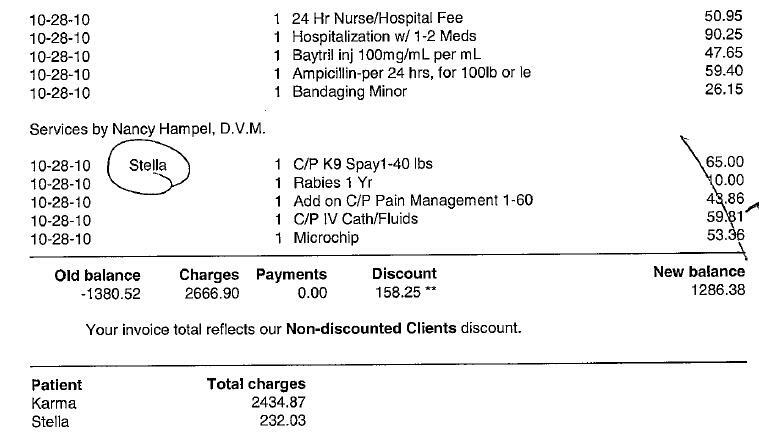 As you can see, I’m hoping we can raise at least another $320 for her. 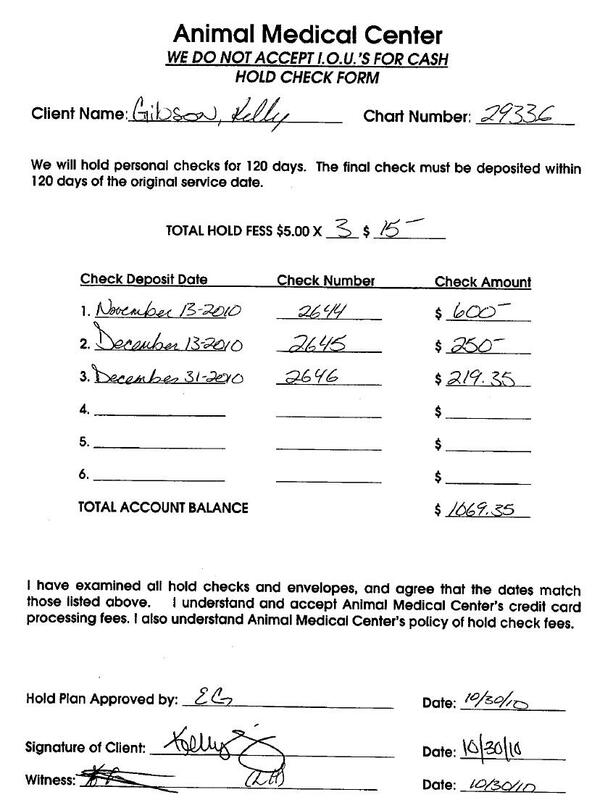 Included in the “Old Balance” amount is a deposit of $300 and an invoice adjustment for $80.52. These are both money out of my own pocket, so if we can cover these two as well (for a total of $700 more) I’d be thrilled, but as long as we can raise the remaining balance of $319.35 I’ll be extremely happy. 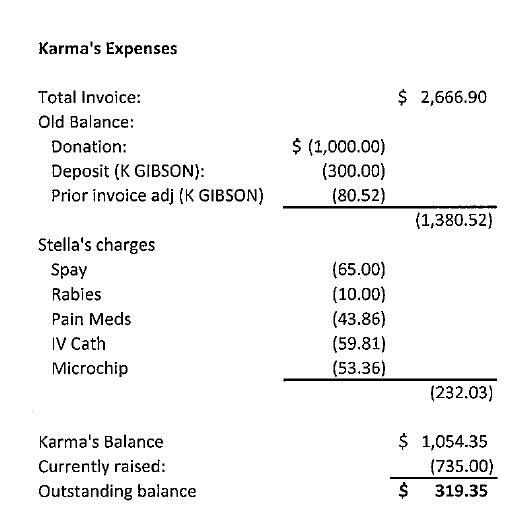 There you have it – a full accounting of Karma’s expenses and payments. Obviously we need to raise a little more money, so I’ve set the ChipIn for $700 over the current balance. If you can spare even $1, it will all add up to greatly relieve this very unexpected financial burden. 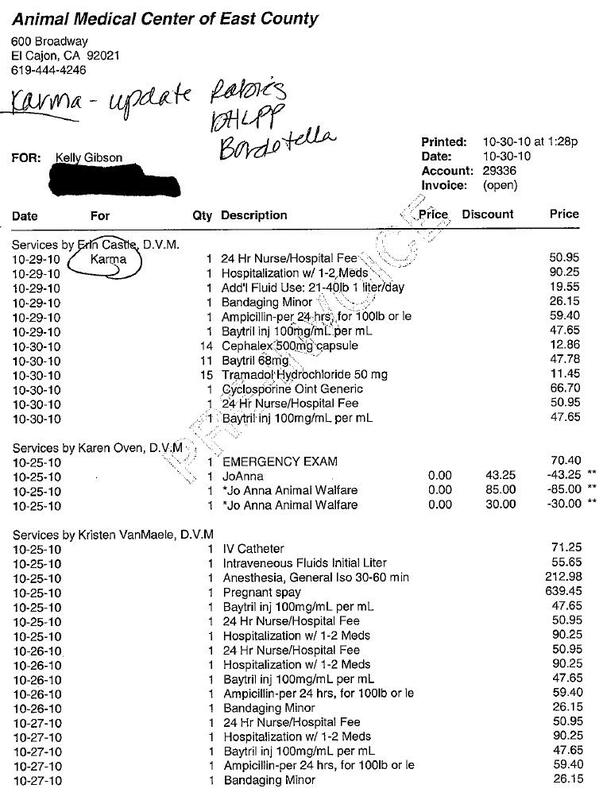 Please also remember that these expenses don’t include the work that will need to be done behaviorally to help with her extreme shyness and timidity, nor do they cover the premier foods she is given while in our care (Acana & The Honest Kitchen, plus cans of Tripette for added protein). 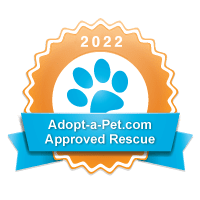 Karma is approximately 3 – 4 years old, so has a long happy life ahead of her. We’re looking forward to helping her get to her Happily Ever After! That photo is priceless! She’s so beautiful!